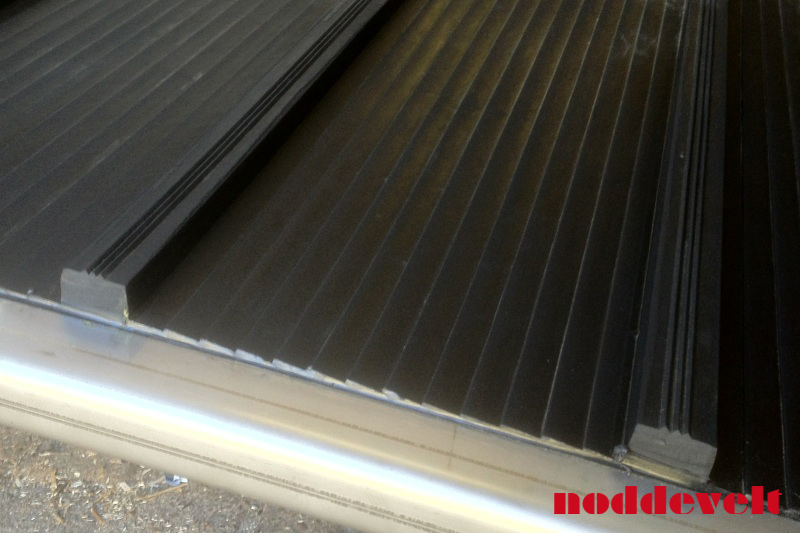 Rubber mat for loading ramp of horse truck. This rubber mat is 8mm thick and 2.40m x 2.40m. 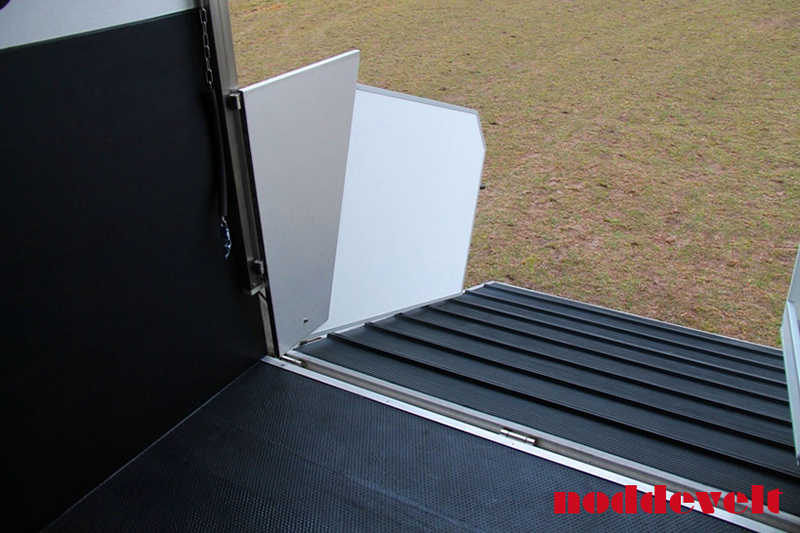 We have a special one-piece mat for the side or rear ramp of the horse truck. In this way you will not have a seam on the loading ramp. This will reduce any chance of the mat detaching because a seam may tear and moist can come underneath it. The insert makes the mat extra strong. 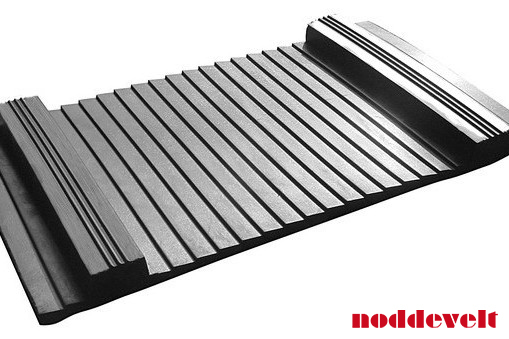 The 28mm high rubber blocks / laths on the mat ensure stable footing for the horse. 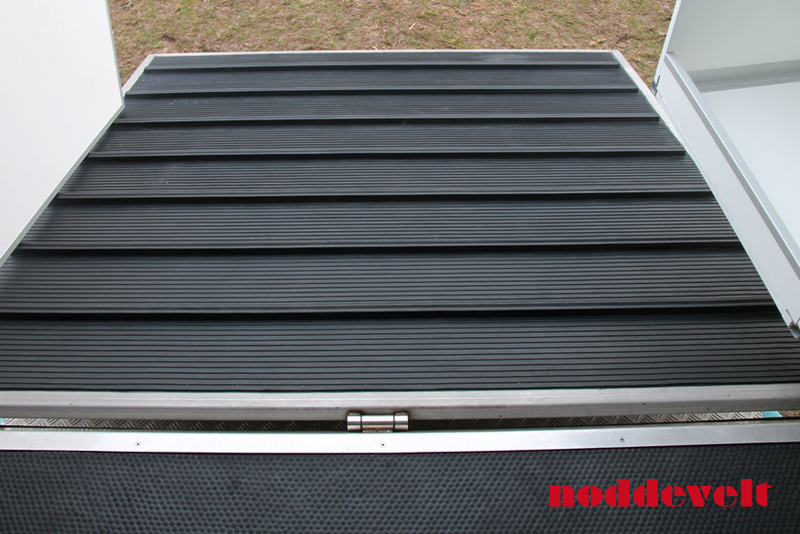 When the rubber gets wet, the loading ramp of the horse trailer will not be slippery. Because of the good grip of the horse while loading, the horse will walk easier and faster into the horse truck. The textile print on the bottom of the mat provides for a good adhesion to the aluminum or wooden loading ramp of the horse truck. For gluing we have special kit and glue in our collection.